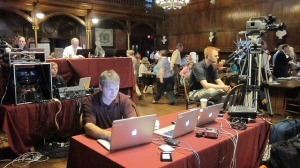 Finished the webcast at Annenberg Hall – Cambridge Harvard. Everything went well. Great content and exciting interaction with the audience. Back in the office we are finalizing the archive portal for viewing. As part of our service we create a Custom Portal that houses our Presentations. In the event that clients have numerous events, which many do, this is a great asset to clients as they have one TLD that houses all of their live webcasts, their archived webcast presentations as well as online Training we create. We have developed this in house and continue to modify and add features to it.. It allows the client to manage and offer to their users all of their content in one location. Our archived presentations of the videos and audio sessions are online shortly after the event for access. The presentations play exactly as they did as we webcast them live, with Synced PowerPoints, video and audio. 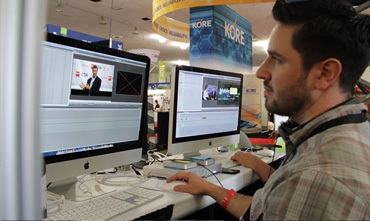 We come back and clean up any video editing that we need to do. 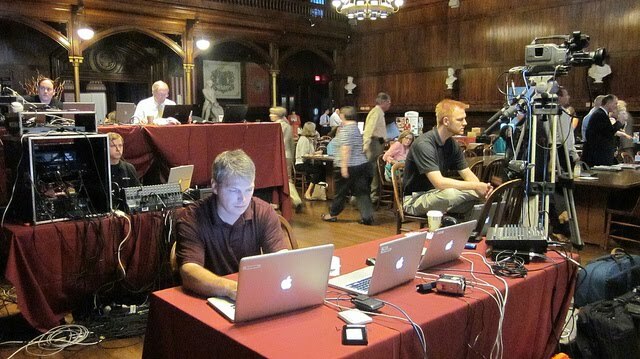 We are pretty particular about the quality of the video and Audio we provide. 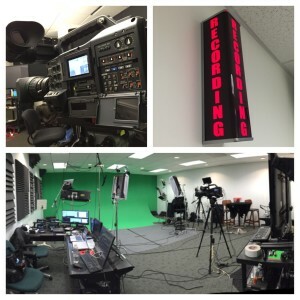 Other webcasting companies that we watch don’t apply the same level of care that we do. Our video looks great and we make sure we do anything we can to assure that for every webcast. Users notice this. We hear the feedback. This is our video experience that makes us so fussy.. We have the tools and skills to provide excellent HD video. We take real pride in this. The webcast in North Carolina went well too. So this was a good week!. Back here at the studio / office, we just finished making some modifications to one of our custom apps that we use. we’ll be trying this out Monday. Should make our portals even more flexible for our clients. We’ll be rolling out this upgrade in coming weeks. Next week is already busy..